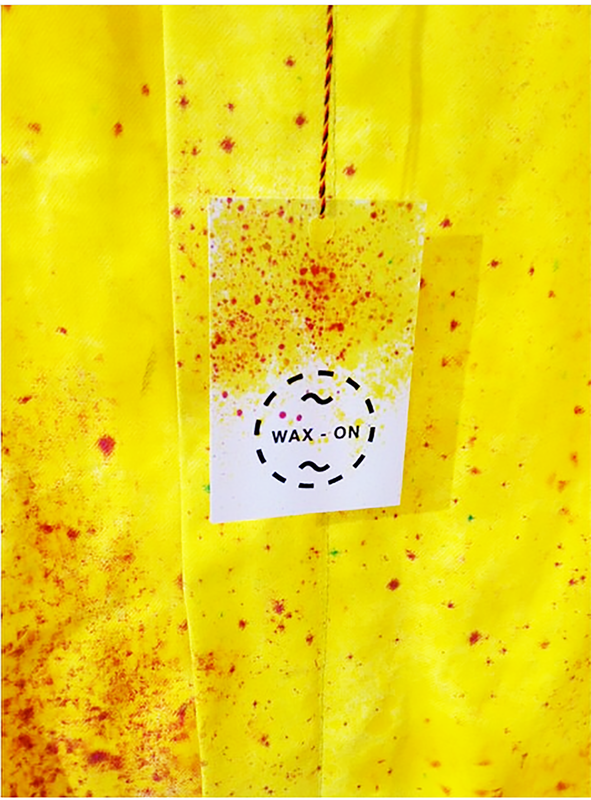 as an off-shoot of dreaming in CMYK, "wax on" is an exploration of the traditional technique of waterproofing cotton / waxed cotton. 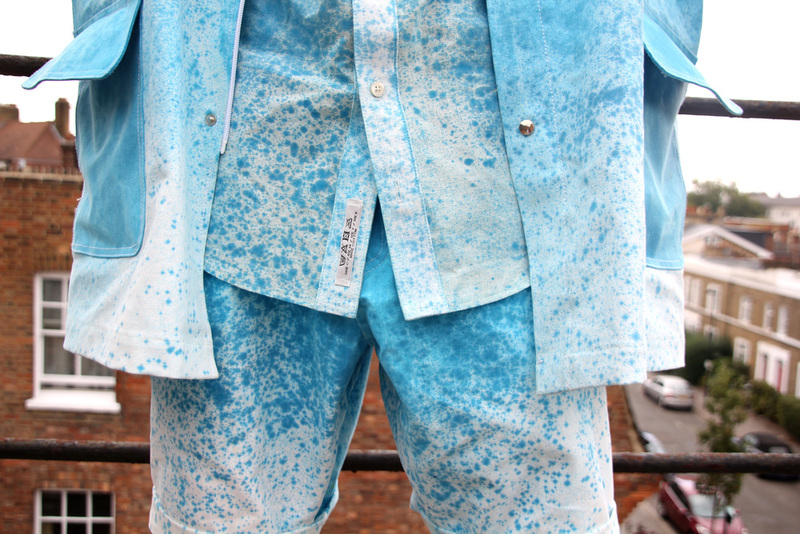 waxed CMYK pigments are melted onto cotton to create vibrant and unique patterns whilst simultaneously waxing the fabric to make it waterproof. 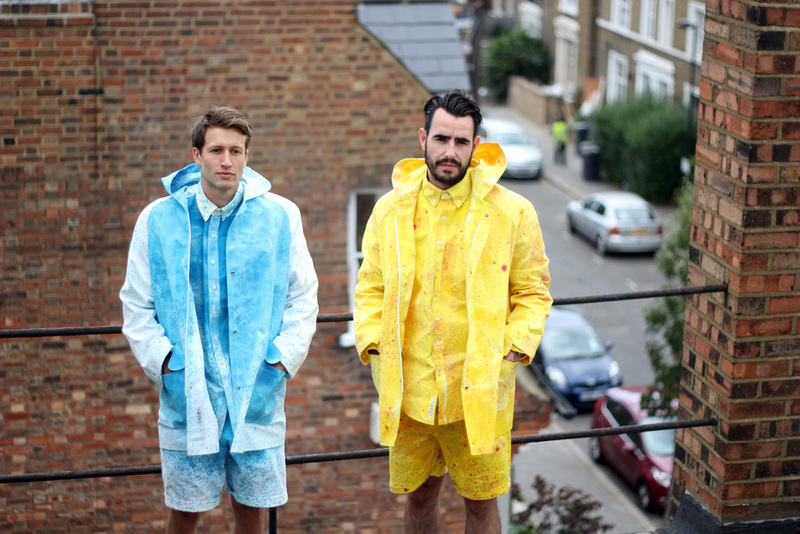 the careful, handcrafted technique of waxing the pattern onto the fabric is contrasted with simple, mass produceable clothing designs, inventing an exciting new aesthetic for traditionally functional rain gear. Check out tent for further evolutions of the process.